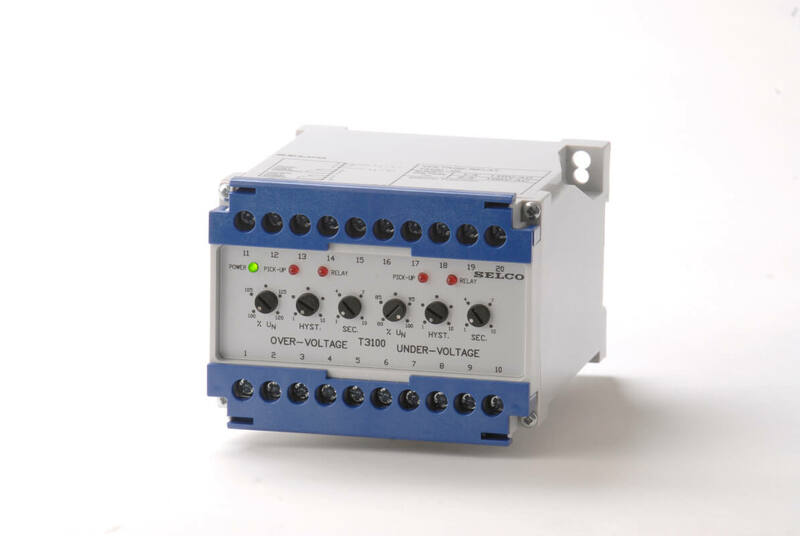 The Voltage Relay T3100 is intended for effective voltage monitoring on generators, busbars or other distribution systems. The T3100 will signal when the voltage is out of limits for a preset time period. The limits can be adjusted using the hysteresis knob. The T3100 is intended for effective voltage surveillance on generators, busbar or other distribution systems. The relay contains the functions “under voltage” and “over voltage” time delayed, and 2 individual output relays, one relay for each function.